Back in the late 1980's, Jerry Duncan built a most unusual street rod for the times - a traditional rod that was fully faithful to the trends and styling of the 1950's. When Larry first spotted pictures of Duncan's car in American Rodder magazine he knew he had to build a model of it. While attending the Street Rod Nationals about six months later, Larry had the good fortune to meet Duncan. 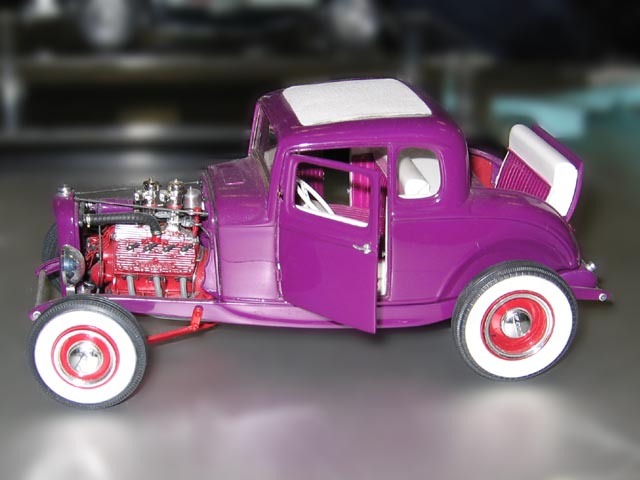 After Larry explained his hobby and interest in replicating the car, Duncan turned Larry loose to photograph and measure the car to his heart's content. Larry went home with three rolls of film and all the background information and facts that Duncan could provide.